With more online audiences grouping around common interests how can financial services companies drive better engagement and develop loyal audiences? 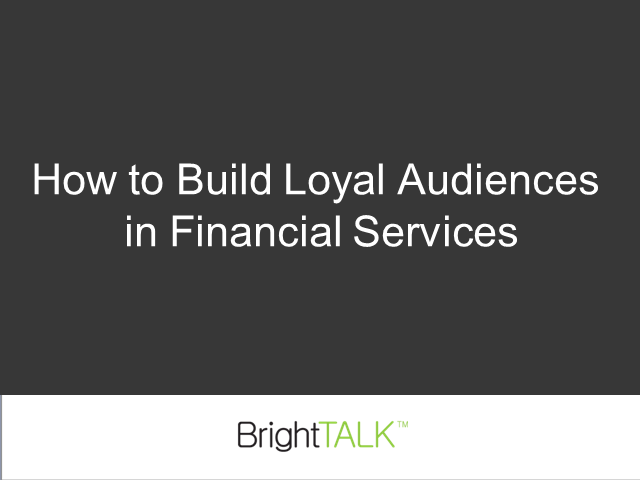 Join Scott McKay of JP Morgan and Val Pierre Genton of BrightTALK as they discuss how to leverage content to drive loyal audiences in financial services. Scott will present a real life case study from their “Guide to the Markets” program that has helped generate brand presence and trust in the adviser community.